Took a drive around Pyrga and Panagia Stazousa this morning and was treated to a flying display from what looked like newly fledged European Bee-eaters. Paler than their parents they were very noisy as they flew between carob and eucalyptus trees. 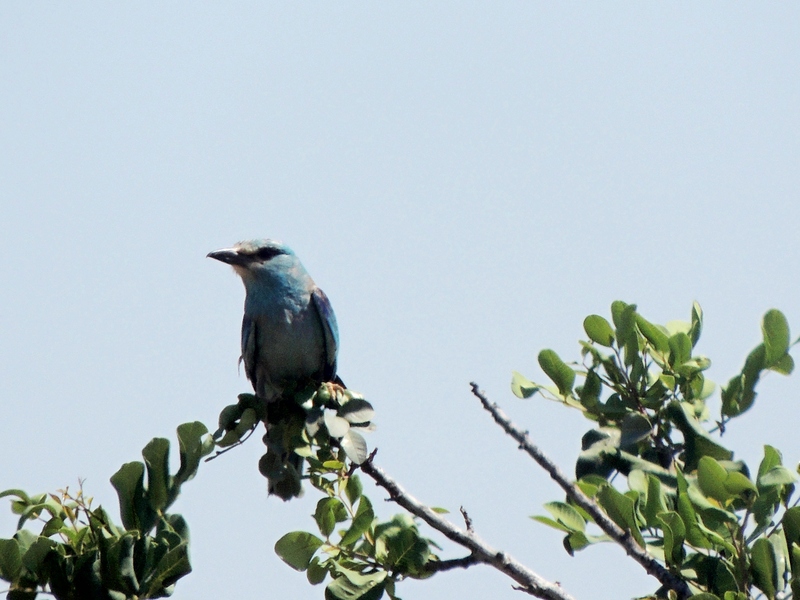 There were also several European Rollers in the area as well as family parties of both Cyprus Wheatear and Warbler – in fact at one stage I had a few of each species in the same bush! Elsewhere a Eastern Olivaceous Warbler family were making a lot of noise. The Little Owl was on guard at its nest site but no sign of any young there. A Long-legged Buzzard flew over the area being mobbed by Common Kestrels. Categories: Birding | Tags: Cyprus Birding, Cyprus birds, Cyprus birdwatching, Cyprus Warbler, Cyprus Wheatear, European Bee-eater, European Roller, Long-legged Buzzard | Permalink.